How is the RIFT Prime server different from the RIFT live servers? While RIFT is a free-to-play game, the RIFT Prime server is an exclusive server that requires RIFT Patron status to access. The RIFT Prime server features a limited in-game credit shop that only contains cosmetic and service items. 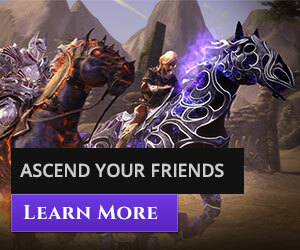 Expansion unlocks and add-on content – such as souls or equipment slots – are included as part of RIFT Prime server access for all players on the server. Some features and content from RIFT’s live servers are unavailable on RIFT Prime, including Minions, Instant Adventures, and the Primalist Calling. RIFT Prime characters will be automatically level restricted to the level of the open-world zone they’re in. While characters that are over-levelled for the zone will still possess a slight advantage due to additional skills and equipment scaling, they won’t be able to show up and trivialize world event content. In exchange, the experience and event rewards gained while adventuring in these auto-mentored situations will remain relevant to the character’s normal level. How do I access RIFT Prime? 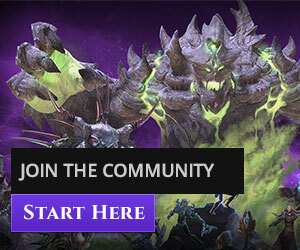 What is RIFT Patron? To access the RIFT Prime server you will need RIFT Patron status on your account. You can purchase a Patron subscription here or purchase a Patron Pass in-game. You can also buy Patron status with in-game currency using Rex. In addition to Prime access, RIFT Patron status also grants you additional bonuses and rewards on RIFT live servers! If you already have RIFT Patron status, RIFT Prime server access is automatically included with no additional purchases or changes necessary. What happens to my RIFT Prime server access if my Patron status ends? You will be unable to log in to the RIFT Prime server. 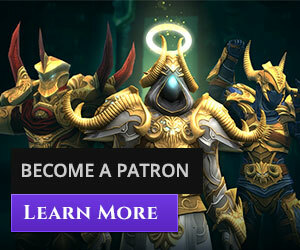 Your RIFT Prime characters will be saved and can be accessed should you obtain Patron status again in the future. What type of optional purchases are available on the RIFT Prime server? RIFT Prime possesses a limited in-game credit shop that features cosmetic items (mounts, companion pets, dyes, warfront announcers, costumes, etc) as well as a small number of services (Name Change Scrolls, Guild Rally Banners, etc). There will be no lockboxes or equipment offered in the store. Can I play on both the RIFT Prime server and RIFT live servers with the same account? Your account works for all RIFT servers, though the two server types are separate. Items are not shared between servers and players cannot transfer characters between the two. Account-wide unlocks obtained on RIFT live servers are not accessible on the RIFT Prime server. Can I use my RIFT live server characters on the RIFT Prime server, or vice versa? RIFT live server characters cannot access or be transferred to the RIFT Prime server. Characters created on the RIFT Prime server cannot be accessed or transferred to RIFT live servers during the progression of the RIFT Prime server. Can I use my existing Credits on RIFT Prime? No. RIFT Prime uses its own currency known as Prime Credits which can be purchased from the RIFT Prime in-game or web stores. Prime Credits can only be used on RIFT Prime. Will the RIFT Prime server remain open once progression ends? No. Some time after progression ends, the RIFT Prime server will be closed. What happens to my characters and Prime Credits when the RIFT Prime server closes? RIFT Prime characters can transfer to RIFT live servers at the end of the Prime server’s content schedule. We intend this server to run for at least a year of progression, so there’s no rush. There will be absolutely no charge for this service. We’ll provide additional details in coming months on how features gained on the Prime server will combine with features on your live server (such as unlocking something on Prime that is normally an account-wide unlock on Live). Stay tuned for details as we work them out! Your remaining Prime Credits will be transferred to your normal RIFT Credit balance. What happens if I have an active Patron subscription when the RIFT Prime server closes? Will I be refunded for the remaining time? No, but you will continue to receive RIFT live server Patron benefits and be able to enjoy them with your newly transferred RIFT Prime character. Still have questions? Watch our Livestreams, forums and social media for more information! You can also post to our RIFT Prime forum thread, already underway.